Liposuction is the surgical removal of unwanted deposits from specific areas of the body, most commonly on the stomach, flanks, love handles, double chin, upper arms, buttocks, knees, hips and thighs. Dr Sharp performs this procedure using state of the art power or ultrasound assisted liposuction technology in both Brisbane and Ipswich. Liposuction is not a substitute for weight loss; it is however an effective method of removing local deposits of fatty tissue that do not respond to diet or exercise. Liposuction may be performed as a primary procedure for body contouring or combined with other procedures such as facelift, abdominoplasty, breast augmentation or thigh lift to achieve more contoured, smooth results and tighten loose skin. The best candidates for liposuction are patients who have achieved a healthy, normal weight - but still have stubborn excess fat in specific body areas. Individuals with poor skin tone, medical problems, obesity, or unrealistic expectations may not be candidates for liposuction.Having firm, healthy skin will result in a better final result after liposuction. Skin that is loose, thin or has diminished tone due to stretch marks, weight loss, or natural aging will not reshape itself to the new contours and may require surgical excision to remove and tighten. A small incision (3-5mm wide) is made and a cannula is inserted. The area is injected with fluid that contains anaesthetic, adrenaline and saline. Modern liposuction technology usually involves either ultrasound or ‘power assisted’ removal of the fat, so the surrounding tissues aren’t traumatised as much as they were in the past, resulting in less pain and recovery time than traditional liposuction. When the sculpting is completed, a small stitch is placed in the cannula entry point. Liposuction takes 30-60 minutes depending on how many areas are treated; more than half of Dr Sharp’s liposuction cases are performed at the same time as other procedures such as abdominoplasty, breast augmentation or facelift. 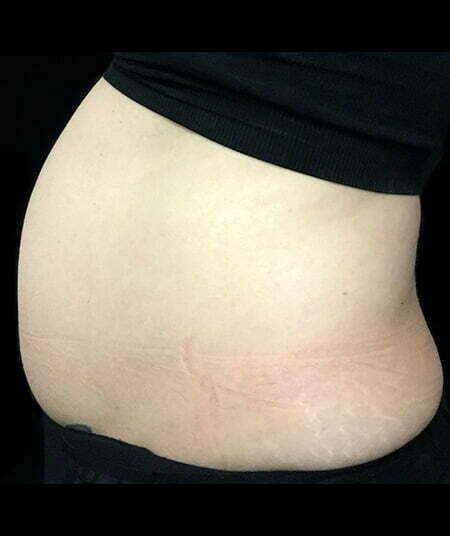 Everyone’s body responds differently to liposuction, and while most patients achieve a pleasing reduction in pockets of fat from their first treatment, sometimes subsequent treatments are required, especially for patients with significant fat deposits. It’s important to consider this when factoring in further treatment to smooth and refine your results; and the emotional and financial costs of subsequent surgery. We all have a fixed number of fat cells in our body; when we gain weight we don’t grow more fat cells, just the pre existing fat cells become enlarged. So when liposuction removes fat cells, they’re gone forever. Liposuction doesn’t however stop the remaining fat cells from getting bigger if you put on weight, so in that way, liposuction results are only permanent if your weight remains stable. Liposuction will not improve the quality or elasticity of skin, and recurrence of skin looseness will occur at some time in the future. Liposuction is often paired with abdominoplasty, thigh reduction, breast augmentation / reduction or facelift surgery to contour the area and refine results. It can be performed in combination with most other procedures, so sometimes a patient having another procedure will also take the opportunity to have a small pocket of stubborn fat liposuctioned while they are under general anaesthetic as well, to reduce the number of general anaesthetics and time off work required for two separate operations. Talk to your surgeon about whether combination liposuction is appropriate for you. Patients also often ask if the liposuctioned fat can be injected into other parts of the body, or ‘fat grafted’. Unfortunately it’s not an easy case of safely taking large amounts of stomach fat and using it to build significantly bigger breasts. This is because liposuction technology aims to remove the maximum amount of fat with the least amount of physical damage to surrounding tissues, and to the best way to do that is to break down the fat as much as possible before extracting it. This damages the fat cells and inhibits their ability to regrow when transplanted into another area; so it’s not considered to be ‘good quality’ harvested fat, and increases the chance of fat death or complications such as fat necrosis. When Dr Sharp performs fat grafting to subtly enhance parts of the face or body, he uses special fat harvesting apparatus to strategically extract small quantities of good quality fat, with minimal disruption to the actual fat cells. In the case of facial fat grafting, the fat is then put through a process that creates tiny ‘nano’ fat that can be injected into the face. Liposuction is all about volume of fat, where as fat grafting is all about quality of fat. 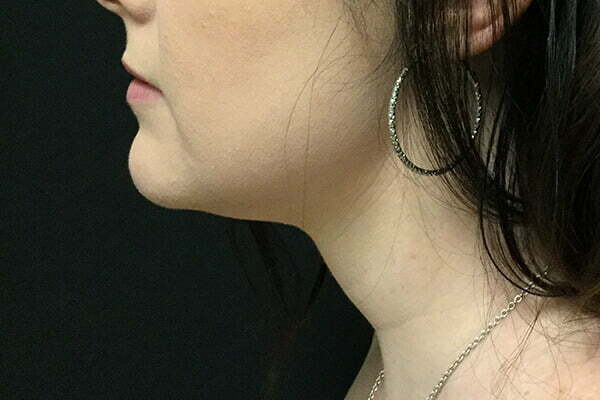 Fat grafting can be used to revolumise the face, improve contour irregularities, correct breast asymmetry or soften out the appearance of breast implants, creating a more natural look and covering visible implant rippling. As with all surgery, liposuction carries risks - which must be weighed up against potential benefits when holistically considering this procedure. There are certain things that you and your surgeon can do to help reduce these risks, and Dr Sharp follows best practice when it comes to all aspects of patient care, but sometimes unavoidable complications still occur. It isn’t just important to consider the financial and recovery cost of potential complications; it’s also worthwhile considering the impact on your emotional wellbeing and body image should these occur.